INDIAN tax authorities are hoping for a windfall with the auction on Tuesday (26) of rare oil paintings that were once part of fugitive billionaire jeweler Nirav Modi’s collection and have been seized by the government. The sale in Mumbai of some 68 works is expected to fetch anywhere between £3.33 million-£5.52m ($4.4m-$7.3m). The auction comes just weeks before a national election and as Indian prime minister Narendra Modi faces pressure to bring back Nirav Modi (no relation), who fled the country last year and has been residing in the UK. The auction includes works by Raja Ravi Varma, a 19th century painter considered among India’s finest, and VS Gaitonde, a modern artist known for his abstract and often monochromatic paintings. 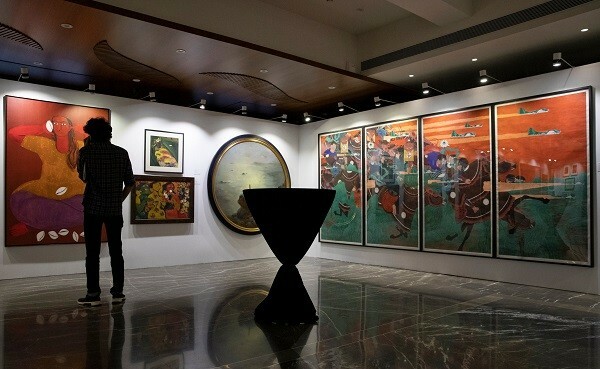 India Law Alliance, a law firm representing the company controlled by Modi that owns the artwork, said it was challenging the court order that allowed the auction. 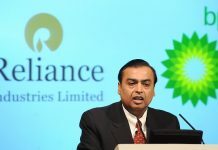 The case will be heard by the Bombay High Court on Wednesday, a lawyer at the firm said. The 48-year-old Modi, whose diamonds have sparkled on Hollywood stars, is one of the prime accused in a £1.51 billion loan fraud at state-run Punjab National Bank. Modi denies the charges and believes they are politically motivated.